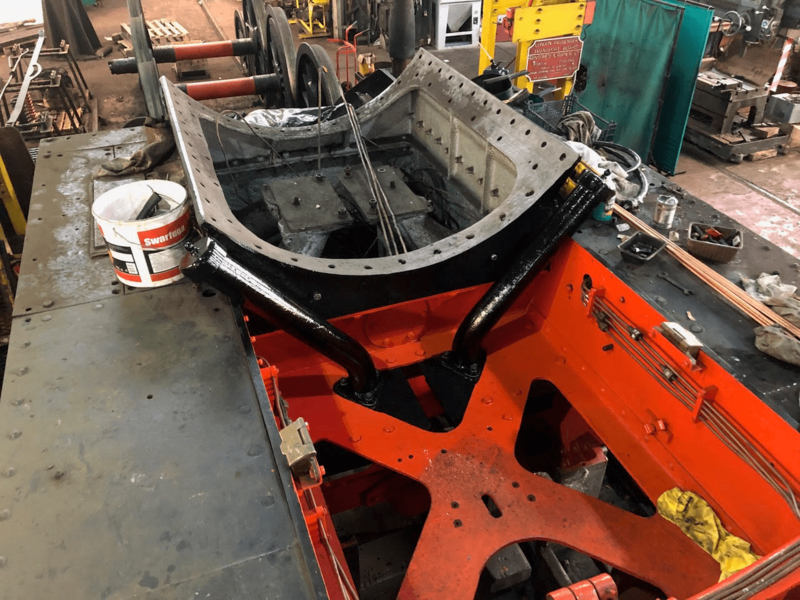 The front sandboxes had their newly painted filler pipes refitted a couple of weeks ago and here they look very smart. 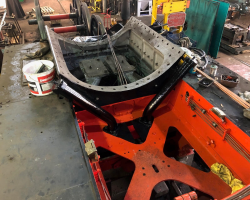 The next job was to fabricate and fit new lubrication pipes from oil boxes in the cab to the rear axle horn guides and here you can see the results with one member of the working party busy fitting a clamp for the pipes under the cab floor. 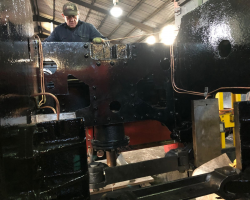 A closer view of the new pipes with our Engineering Manager starting to form another new lubrication pipe, this time for part of the steam brake mechanism under the cab. 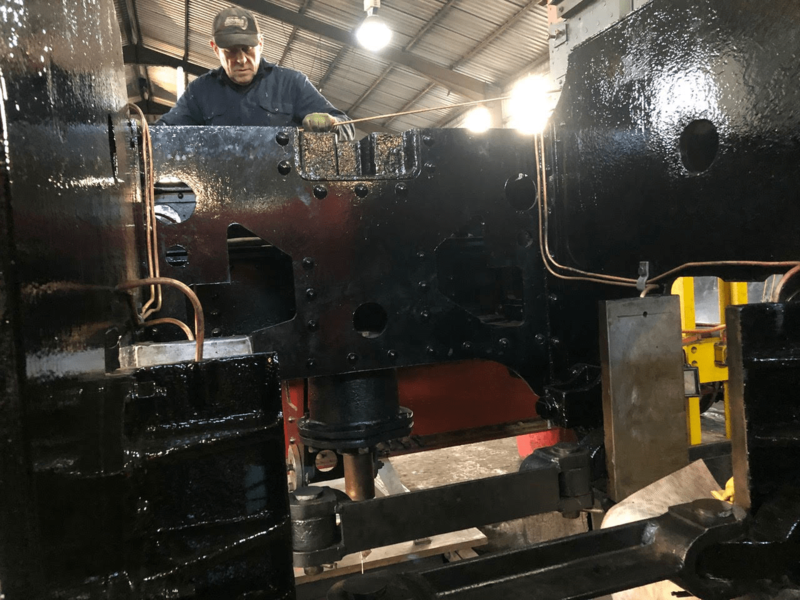 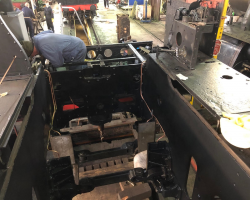 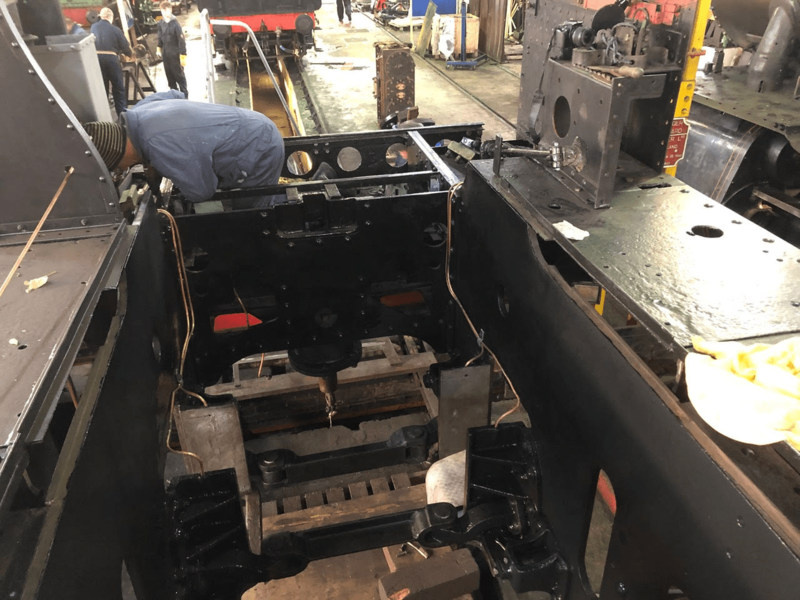 In addition to this work carried out by the volunteers some work continues away from the frames in which one of the paid staff is busy refurbishing much of the operating mechanism for the mechanical lubricators.